This model is available as an automated tutorial by selecting Model Examples and Tutorials... > Fluid Dynamics > Flow in Driven Cavity from the File menu. Or alternatively, follow the step-by-step instructions below. First create a unit square for the geometry. Equation and material coefficients are be specified in Equation/Subdomain mode. 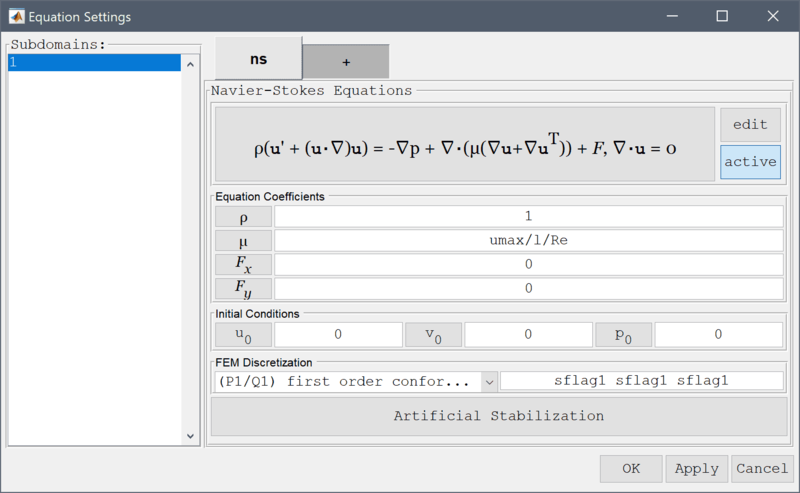 In the Equation Settings dialog box that automatically opens, enter 1 for the fluid Density and umax/l/R for the Viscosity. The other coefficients can be left to their default values. Press OK to finish the equation and subdomain settings specification. Note that FEATool works with any unit system, and that the units here are non-dimensionalized. 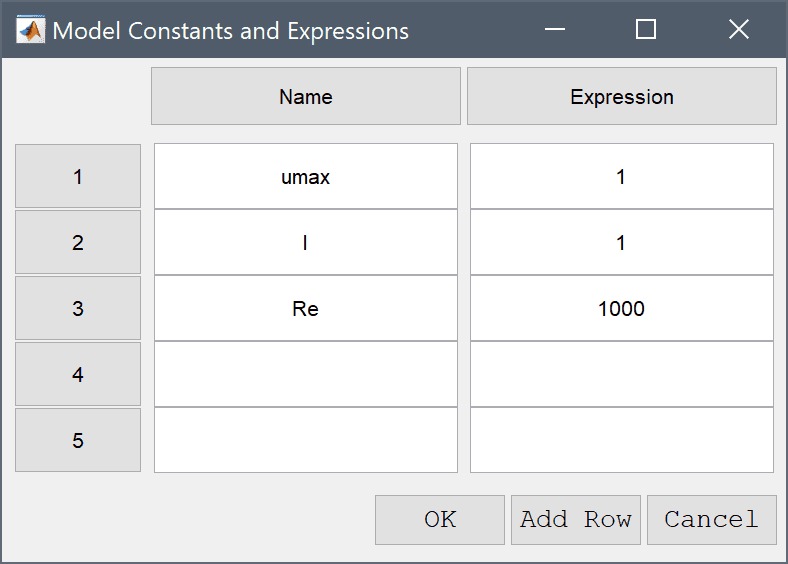 Press the Constants Toolbar button, or select the corresponding entry from the Equation menu, and enter the variables for the velocity umax, length l, and Reynolds number Re in the Model Constants and Expressions dialog box. Boundary conditions consist of no-slip zero velocity conditions on all walls except for the top on which a constant x-velocity umax is prescribed. 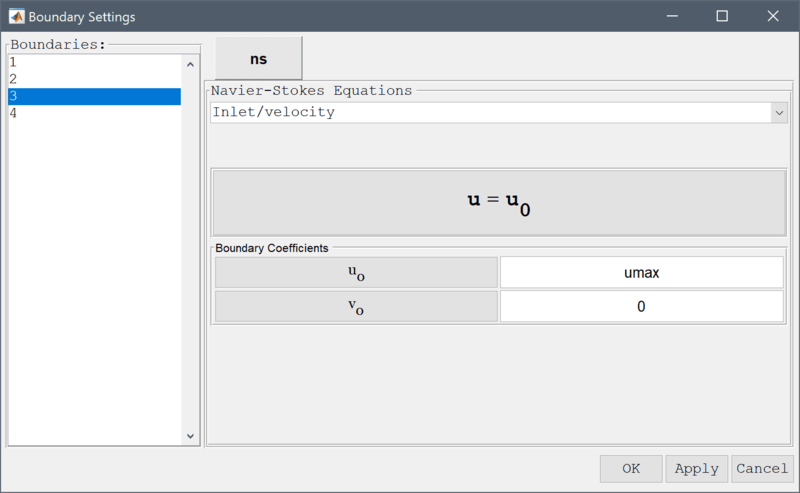 Select Wall/no-slip from the Navier-Stokes Equations drop-down menu. Enter umax into the Velocity in x-direction edit field. After the problem has been solved FEATool will automatically switch to postprocessing mode and here display the magnitude of the computed velocity field. 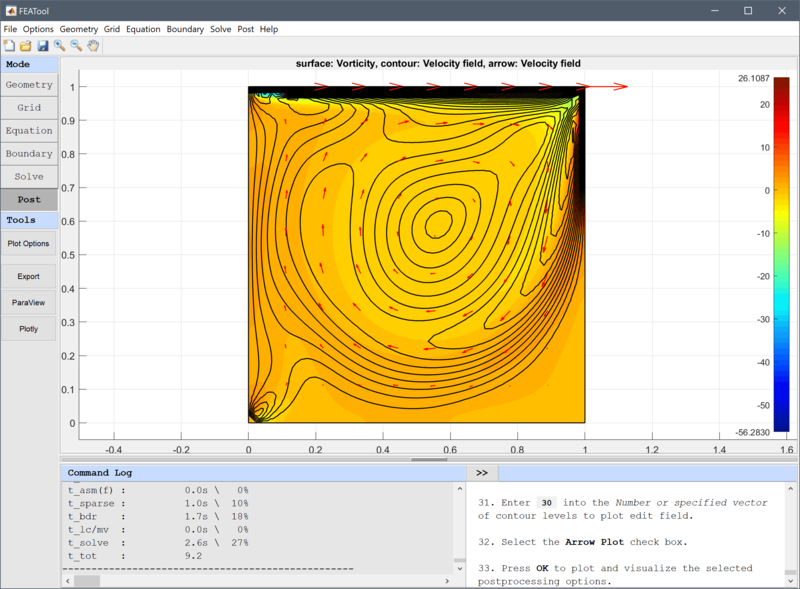 Select Vorticity from the Predefined surface plot expressions drop-down menu. Enter 30 into the Number or specified vector of contour levels to plot edit field. To evaluate the accuracy of the solution the vorticity at (0.53, 0.56) is evaluated. Either click directly at this point or use the Point/Line Evaluation functionality. 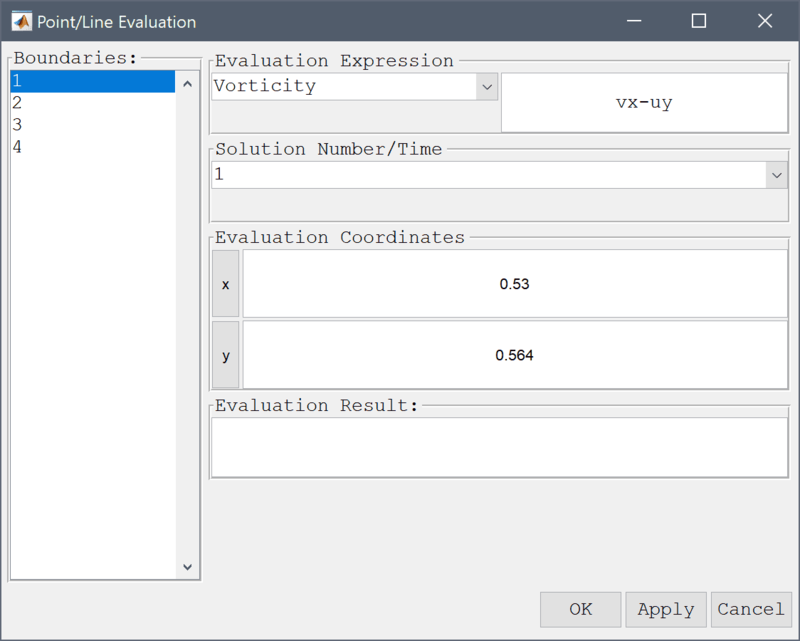 Select Vorticity from the Evaluation Expression drop-down menu. 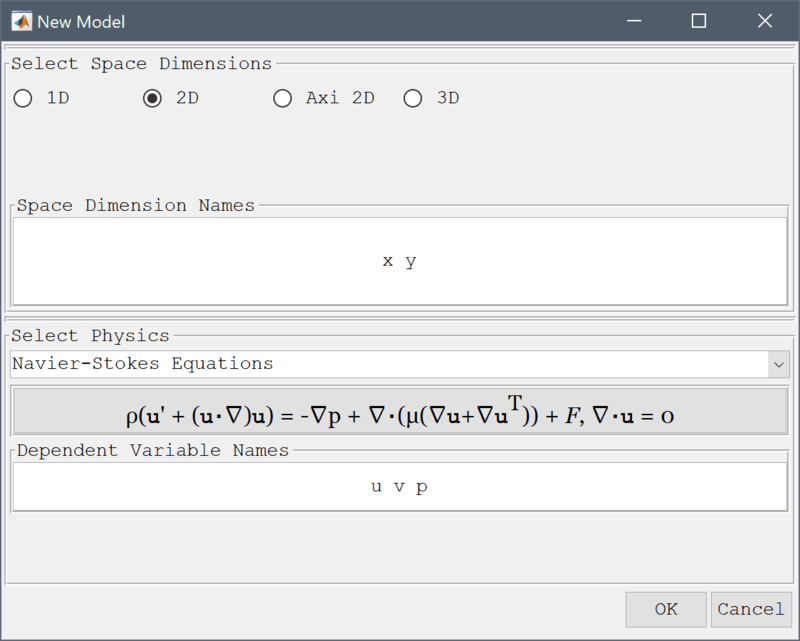 Enter 0.53 into the Evaluation coordinates in x-direction edit field. 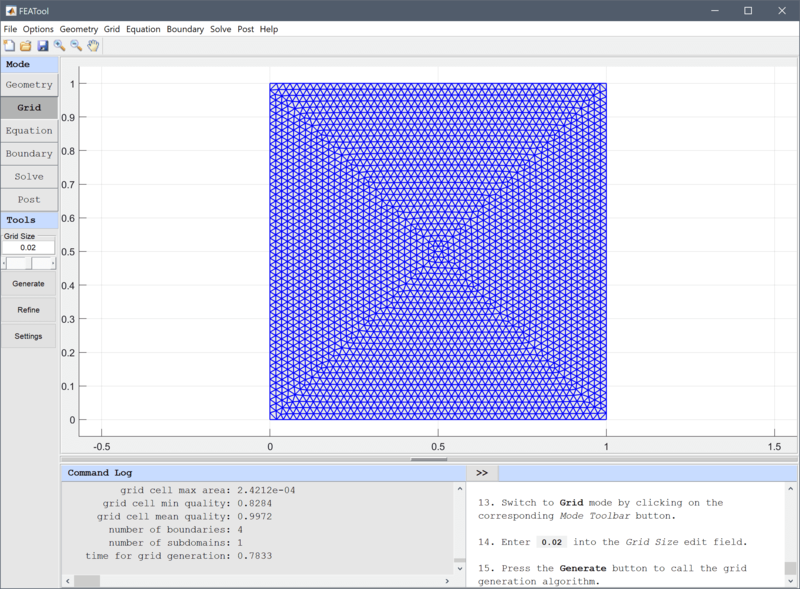 Enter 0.564 into the Evaluation coordinates in y-direction edit field. The computed vorticity at the evaluated point is -1.73 which is quite close to the reference value of -2.068, to achieve a better approximation a finer grid and higher order discretization would be necessary. 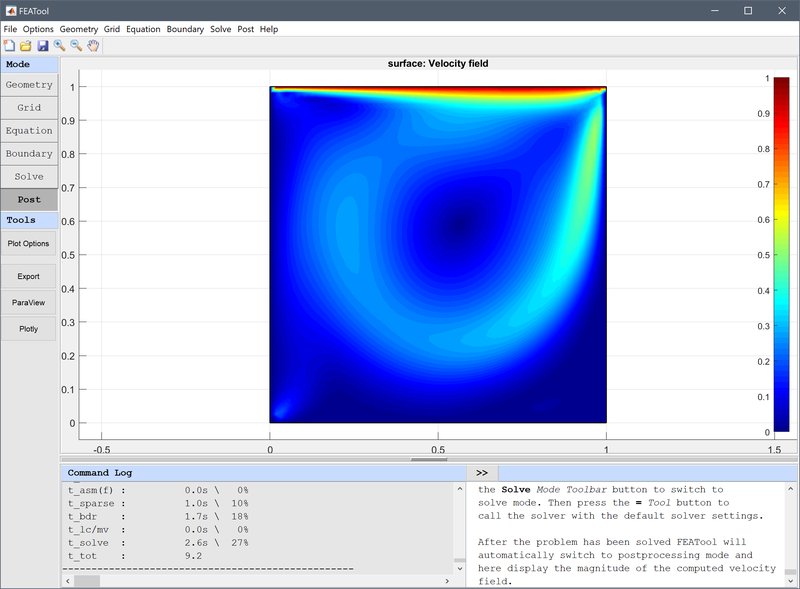 The flow in driven cavity fluid dynamics model has now been completed and can be saved as a binary (.fea) model file, or exported as a programmable MATLAB m-script text file, or GUI script (.fes) file.